The "APAture" Visual Arts Showcase features Rea Lynn DeGuzman with Selena Ching, Maya Fuji, Anh Bui, Anoushka Mirhandani, Kacy Jung, Paolo Salazar, Renae Moua, Rene Mary Pak Morrison, Rochelle Youk, Webster Nguyen, Yeji Jung, Sherwin Rio, Jerome Pansa, & Nicole Gervacio. The "APAture" Literary Arts Showcase features Vanessa Hua with Preeti Vangani, Celeste Chan, Alyssa Manansala, Christine No, Janice Sapigao, Keven Quach, Yujane Chen, & Emily Yamauchi. 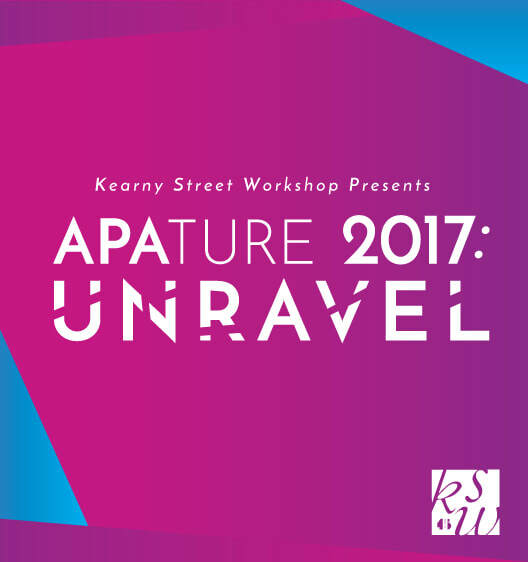 The "APAture" Book Arts Showcase feataures Innosanto Nagara with Brenda Nguyen, Bridge Ho, Claire Lau, Jess Wu-Ohlson, Katie Quan, Minnie Phan, Nasi (Eda Yu, Athena Scott, Eileen Syrop), Lisa Sy, & Cheez Hamaya.